New Gunnison Watershed School District superintendent Leslie Nichols laid out a three-phase facilities improvement plan for the Crested Butte Community School at the school board meeting on Monday, August 13. Board members seemed pleased with this plan, as it not only focuses on school and student safety, but also implements improvements to the playground, blacktop play area and soccer field. Nichols calls Phase 1 of this plan the “Safe Route to School.” It will be implemented immediately at the beginning of this school year. Safe Route to School refers to an improved bus route and new student walking route to and from town. The four school buses that serve CBCS will now go through the neighborhood by the school and make a left-hand turn at the Elk Avenue four-way intersection instead of turning left from Red Lady Avenue onto Highway 135. This new bus route will help reduce the traffic back-up on Highway 135 when the bus prepares to turn, as well as dramatically reduce safety concerns of making that left-hand turn with vehicles coming from both directions. The new student walking route is intended to reduce safety concerns, as it has students crossing at Belleview Avenue instead of crossing at Red Lady Avenue and Highway 135. Nichols said elementary school principal Sally Hensley and secondary school principal Stephanie Niemi will train students in their new walking route at the beginning of the school year. The town of Crested Butte is putting in a sidewalk along this route and the Creative District artists will paint the sidewalks with a logo promoting the Safe Route to School. Phase 1 also includes taking the running track out from around the soccer field in order to have a regulation-size field and cut down on student injuries. The town of Crested Butte will pay for the initial demolition and removal of the hard surface. The district will cover the costs of the dirt work, adjust the sprinkler system, and get the turf growing. This project is expected to start in mid to late October to minimize disruption to the field and student use. Phase 2 of the facilities improvement plan should be implemented in the 2019-2020 school year and will focus on solving the traffic issues at Highway 135 and making improvements to the elementary school play area. Phase 2 will include aligning the entrance to the parking lot with Eighth Street and creating a four-way stop at Eighth Street and Red Lady Avenue. There was also discussion about widening Red Lady Avenue at the CBCS parking lot and the district is waiting on design work from RTA Architects. 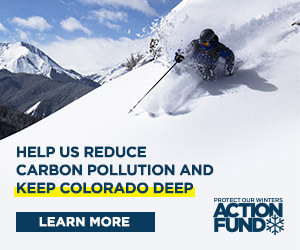 Nichols said as part of Phase 2, Hensley will also submit a grant request to Great Outdoors Colorado, which invests a portion of the Colorado Lottery proceeds to help preserve and protect Colorado outdoor spaces and transform school playgrounds.